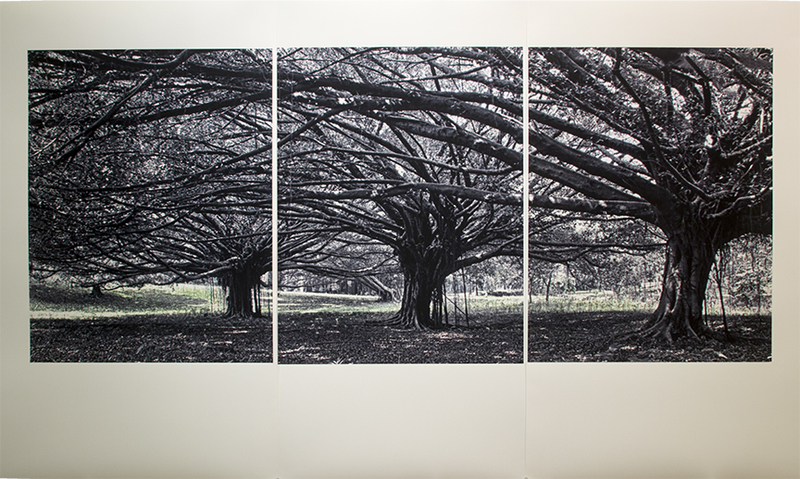 This is the tryptic at the entrance of my photography exhibition titled “Landscapes by Timothy S. Allen” held at Kun Shan Technical University, Tainan, Taiwan May 13 – 23, 2014. The title of the photograph is “Chinese Banyan Trees”.The trees were photographed in Chiayi County, Taiwan. The size is 26″ x 60″ or 66 cm x 155 cm.